The Holmes and Rahe stress scale is a list of 43 stressful life events that can contribute to illness. Some years I have gathered a pretty impressive score on this scale…Making big changes to one’s life can either be rather liberating, or downright terrifying. Strangely, although I think I am a pretty stressy, nervy, risk-averse kinda girl, I usually welcome change. It feels refreshing, and full of possibility. When we moved here to Scotland, everything was up for grabs. The one known factor in the mix was Akira’s job…so nice, and so rare, to have something permanent and fixed that we could do all the rest of our reconfiguring around. But then, since I have effectively been in some kinda limbo since we left York in 2008…there was a lot of rapid reshuffling to do on my part. I had considered all kinds of things…self-employment (still attractive, but taking more resources/gumption than may be currently available)…re-training (again, an attractive option, but maybe needing more time than I currently have available)…returning to teaching (a less-attractive option that would have involved jumping through a lot of hoops, and taken up rather more time and energy than I was willing to devote)…and of course I was really hoping for part-time work (perfect scenario – except that around here, there was NOTHING on offer that would cover the cost of childcare)…staying home for another year with Kazuo until his daycare is partially state-funded (perhaps another great option, but rather delaying the other hoped-for benefits of re-entering the paid workforce). Then, rather suddenly (though not without a little effort on my part)…a kinda perfect opportunity presented itself…and I will be off to daily paid full-time work at the University this coming Monday. 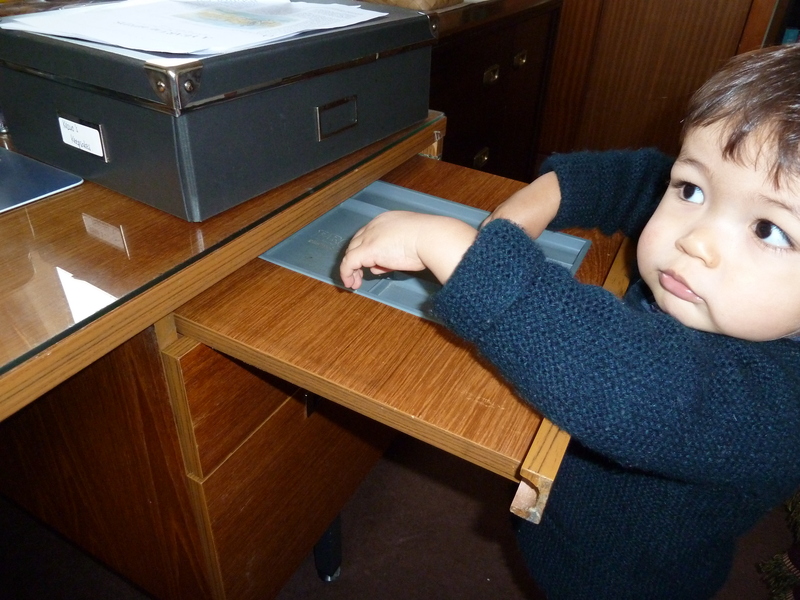 Kazuo will begin full-time nursery school – a prospect that probably fills us both with equal dread. Except that I KNOW he knows we love him…I KNOW that the nursery will take good care of him…I KNOW that in the long term many of the things we hope for as a family will be facilitated by this transition…and although I will miss Kazuo and Mama days desperately…and I will miss the wonderful things that come from being the person who sees him day in day out…we will weather the storms of this transition too…and there is good to come through all of this – and I am SO grateful for the joys of two wonderful years of being always with our delightful boy.